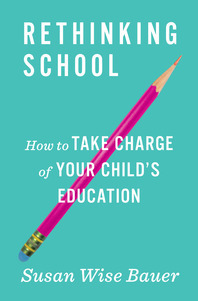 Author, academic, and home-school expert Susan Wise Bauer’s latest book seems to have flown under the radar since its release earlier this year, but “Rethinking School: How to Take Charge of Your Child’s Education” should be on the nightstand of every parent, every teacher, and anyone invested in the education of our children. 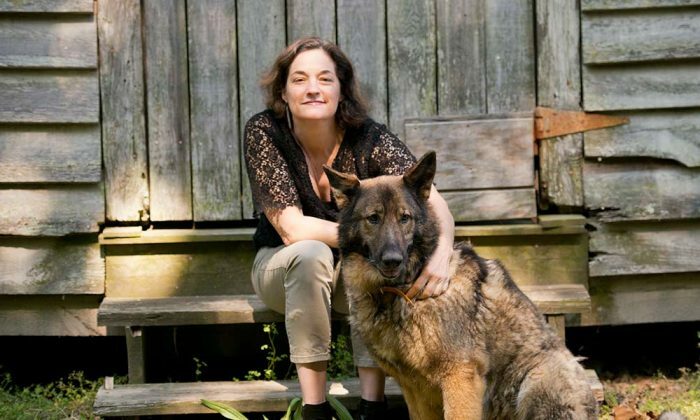 While Bauer is best known for her home-school classic “The Well-Trained Mind,” “Rethinking School” addresses the all-too-common concerns of parents with school-aged children. Whether their children are way ahead of the curriculum and bored out of their minds, overwhelmed and struggling to keep up, or just simply miserable within the confines of the school system, parents today often find themselves disenchanted with school and seeking solutions. Those solutions, however, can be elusive in the face of a bureaucracy as deeply ensconced as the K–12 American school system. Bauer’s down-to-earth approach and talent for describing complex ideas in simple, easy-to-understand terms make for a comforting and accessible read. Parents who’ve been frustrated by their child’s school experience will likely nod their heads throughout this book and enjoy relief in the realization that they are certainly not alone, not crazy, and not without the tools and information needed to improve their child’s situation. “Rethinking School” first describes the state of the union on “The Way We Do School” and then recognizes the different ways students may find school a mismatch for their learning styles and needs. Next, solutions are proposed, many of which will be completely novel approaches parents haven’t realized are even options. From how to address issues with teachers and administrators, to standardized testing, to homework, to single-subject acceleration, to supplementing the curriculum yourself, and more, there are many alternatives available to students that could make all the difference. For some parents, this section of the book may encourage big changes. For all, there is serious food for thought. For those who see no way forward within the confines of school, the last section of the book, “Opting Out,” provides the off-ramp they need. While so many books lamenting the current state of education speak in broad terms and aim at fixing the system itself, Bauer wisely recognizes that such proposals will likely never be enacted in time to impact students currently in school. Instead, “Rethinking School” offers parents an eye-opening understanding of the current state of things and super-practical steps to consider that will help now, not a generation from now. Here, many options are on the table. Parents are offered insight into the inner workings of school systems and resources outside of them. They’re invited to truly rethink what really matters, what’s truly best for the child, and indeed what’s actually possible. In short, this book offers hope to many who are desperately searching for it and empowers parents to finally take charge of their children’s education.